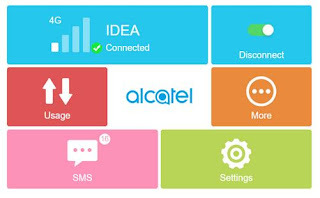 The international carrier Vodafone and Indian network provider Idea (and Airtel), all have launched the Alcatel Link Zone MW40CJ, which is MiFi router. 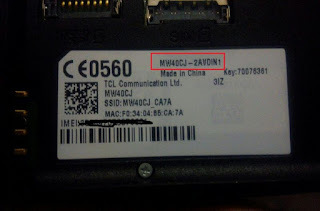 On the back side of the MiFi router, MW40CJ-2AIJIN3 is written in Idea and MW40CJ-2AVDIN1 in Vodafone. Under the device settings, it shows the software version MW40_HP_02.00_05 and device name as MW40. It has an OLED display that shows the status of the battery, WiFi, network, and SMS. 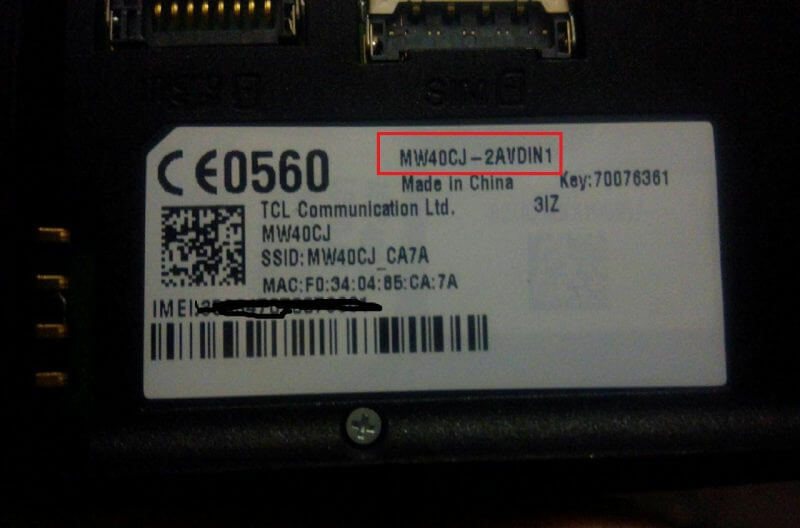 Alcatel Link Zone MW40CJThe Alcatel Link Zone MW40CJ is a 4G data card and comes with un-customized firmware, means there is no need to change the firmware to unlock it. 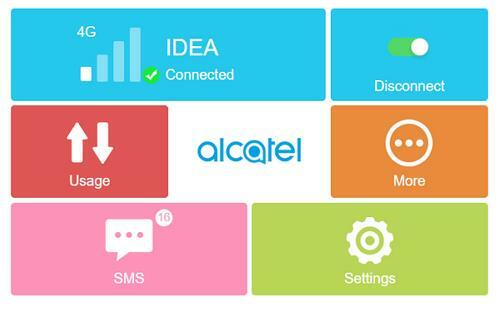 How to Unlock Idea, Airtel, and Vodafone Alcatel Link Zone MW40CJ Locked WiFi Router ? Change the default SIM card with any another network provider SIM. Connect to PC with its USB cable or with its WiFi. 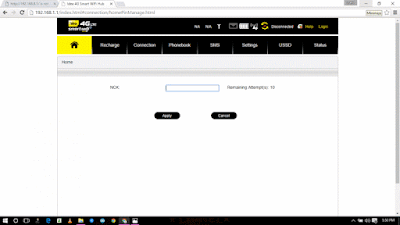 Browse for http://192.168.1.1/index.html#connection/homePinManage.html through Internet Explorer browser. Input here correct 10-digits unlock code / NCK and click Apply button. The device will be rebooted and will start showing the inserted SIM card network. Now create a new profile according to the current SIM card through Connection menu and enjoy the internet. Above screenshot is of unlocked Vodafone Alcatel Link Zone MW40CJ WebUI with Idea SIM card. Note: Unlock code charge is only Rs. 100 for Indian customers. Before making the payment, make sure that device is asking for SIM lock as described. If everything is fine as described in the post, you can through PayUmoney. A very big thanks to Anup Pravin for providing the screenshots. Update : Unlock code works perfectly with Idea and Vodafone devices. If you have Vodafone router and software version is MW40_HP_02.00_07 then NCK code will not work. So if you planning to purchase a new Alcatel Link Zone MW40CJ router then I will suggest getting Idea brand devices only. No refund will be provided, so better make a proper decision before making a payment. Update II : Airtel has also launched Alcatel MW40CJ which comes with software / firmware version MW40_HS_02.00_09 and MW40_HS_02.00_10. Firmware MW40_HS_02.00_09 is unlockable, while MW40_HS_02.00_10 can not be unlocked. After changing the default SIM with any another carrier, it asks for 10 digit NCK. Today, I have unlocked it successfully. Unlock code charge is same Rs. 100 for Airtel, Vodafone or Idea locked devices. Update III : Alcatel MW40CJ is now available outside India also, which are locked to different networks. Interest users can pay 2.38 USD for the correct NCK code. Correct code will be emailed within 8 hrs.